“Defense is boring” is something we hear all too often. How do you use all your resources including the ones most players don’t know even existed? Working on these critical steps will make sure you don’t give up any of your “lost” positions without putting up a real fight and make it extremely difficult for your opponent to convert their advantage. 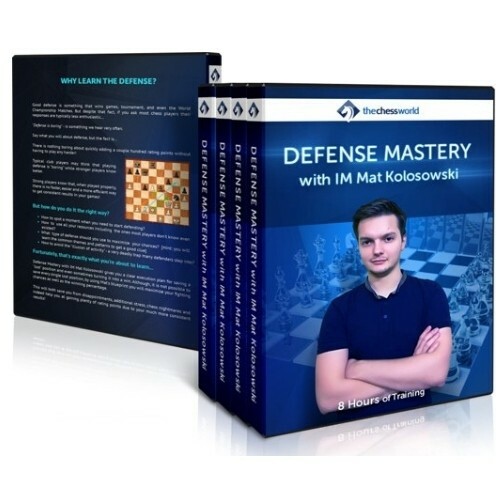 Although it is not possible to save every lost position, by using Mat’s blueprint you will maximize your fighting chance as well as boost your winning percentage. This will save you from disappointment, additional stress, and chess nightmares. Of course, it will also help you gain plenty of rating points due to your much more consistent results!